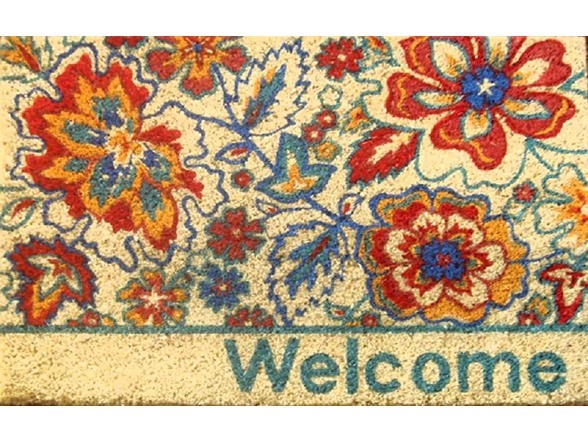 Beautifully designed and ultra-durable, the Fiesta door mats are a great way to welcome friends and family into your home. Made from the outer fibers of coconut husks, these eco-friendly door mats effectively trap unwanted dirt and moisture. Fade resistant dyes and a sturdy rubber backing ensure that your Fiesta doormat will withstand everyday weather and foot traffic.